Hidden treasures are not always at the bottom of the ocean as my wife and I discovered when we stumbled upon a hidden walk in Sanctuary Waters, Canning Vale. 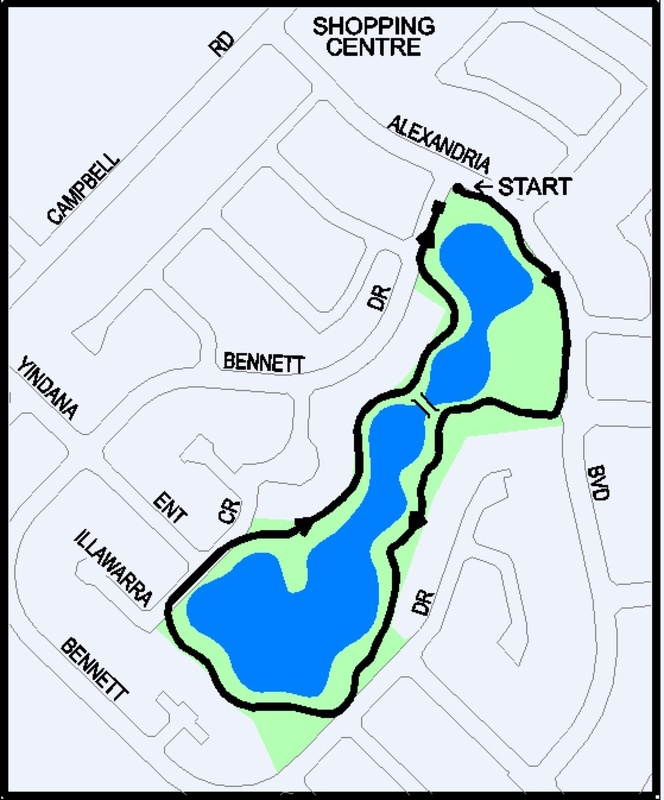 A pristine waterway surrounded by a 1.7km easy walking path. It is hard to believe that Ranford and Warton, two very busy roads, bound this peaceful haven. Several entry points with limited parking compliment the main entrance by the playground. Though interspersed by stands of trees and bush, it is still open enough for a safe walk, evidenced by no graffiti or rubbish with streetlights provided for that evening stroll. 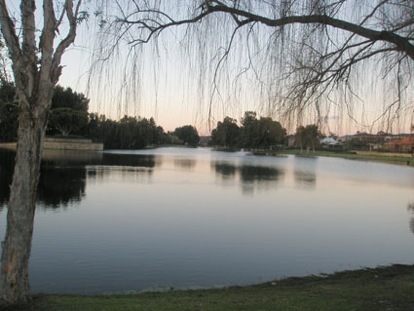 Deciduous trees allow sunlight in winter, and plenty of shade in summer, with park benches and bins spotted at regular intervals allowing for a bit of time out. We loved the central bridge (which means you can do a half circuit), fountains and the prominent brick vantage point with a large tree from which to scan the site. 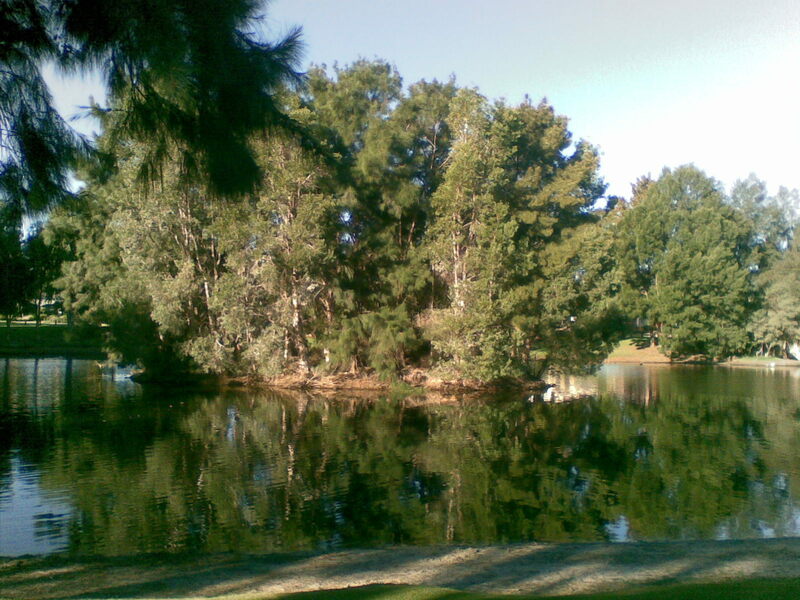 One end of the lake is a devoted natural bush land setting with an island to protect birdlife. We approached the bridge to find half a dozen couples chatting with pooches in hand all doing their own thing. Many excitable greetings were acknowledged as we manoeuvred our way through the tangle of leads. Forget your doggy poo bag, no problem, as they are available along with a bin at the Yindanna Entrance. Something new at every turn makes for an enjoyable stroll. 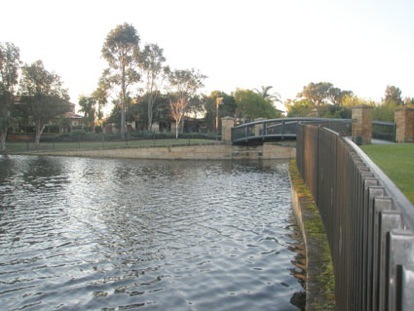 Neat lawns extend to the waters edge boarded by secure walls with intermittent stands of trees providing shelter. Bush and trees obscure the bank at various points with storm water drain outlets providing a swamp like environment populated by water birds with their chicks in season. Not to mention a variety of wild and domestic ducks and pair of black swans (according to a local) have been known to visit. Sociable people abound. It seems walking creates a common bond among us urban athletes. 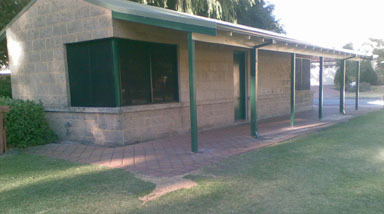 The rear of many houses facing the walkway gives the appearance of sharing peoples extended back yard (though fenced), creating a relaxed communal atmosphere. 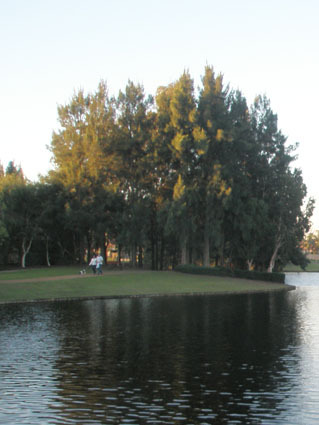 Though an ideal walk for all, we found it well suited to Mums and Bubs in strollers and kids on bikes (toddlers do need supervision, they may bounce but don't float so well). Several covered pavilions with tables and seats make a great place to watch the kids enjoy the shaded playground. However, be warned, there are no public toilets. We did enquire at the lack of daytime public toilets and were informed that due to the potential anti-social behaviour and being prime targets for graffiti artists, toilets are not provided. I totally agree, maybe this is the reason it is such a nice place to be. Do not despair; the shopping centre at the corner of Campbell and Ranford Roads has toilet facilities within walking distance. 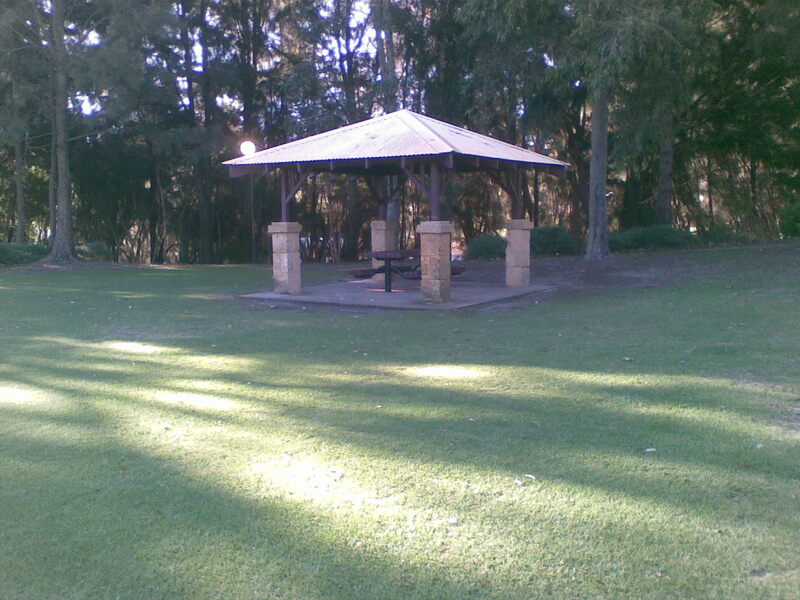 Situated in the playground area close to covered seating is a dual plate gas barbecue, FREE for public use. We did not see any water taps, so come prepared with water and handy wipes. 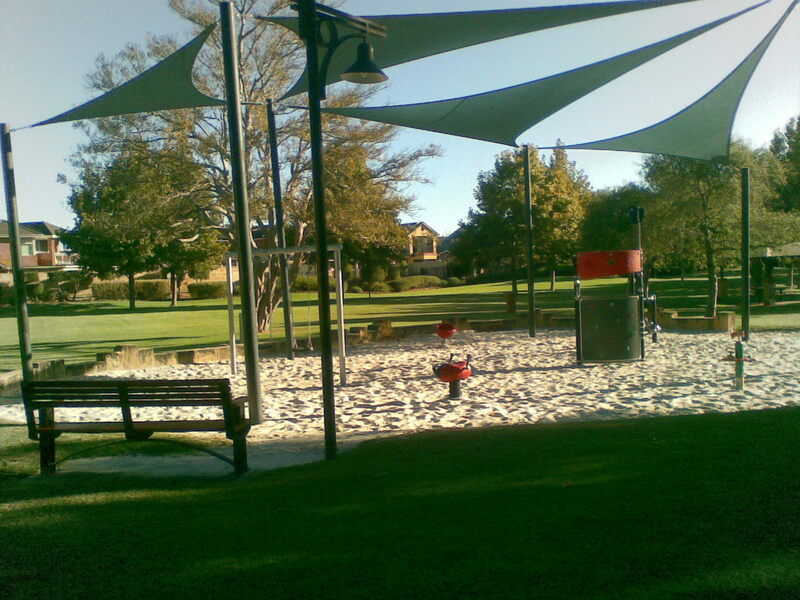 Though there are bins are available, taking your rubbish home would help keep this lovely park clean. 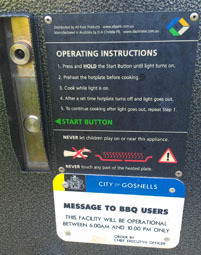 Just follow the instructions and away you go. Situated near the playground is a small building we pass with a nominal glance, speculating its purpose. Finally, we asked a local walker who informed us it is a venue for hire. Originally, the sales office for the developer it is now available for meetings and small gatherings of up to 20 people. 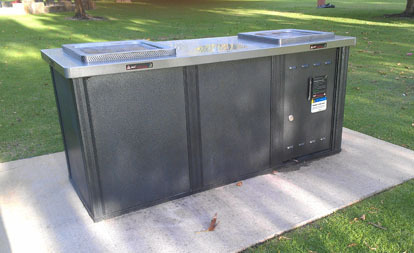 So, if air conditioning (cool only), tables, chairs, toilet and a sink sounds good, contact the City of Gosnells for details, as there are a variety of hire charges. Though it does appear the venue is not suitable for large social gatherings. However, I cannot think of a nicer environment for a club or community group to meet, day or evening. Not to mention ideal for the babysitter with the playground, toilet and shelters so close by. Parking, though not extensive is available kerbside at the various entry points. It takes about 20 minutes to do the circuit at a reasonable pace, a little longer with 'rug rats' or a 'we sit down' along the way. We usually go around three times. Where: Cnr. Sanctuary Ave and Alexandria Bvd., Canning Vale WA. It is cycle friendly for children and adults who are not training for the Tour de France. Though it really is a walking path for adults, and bikes for kids. There is no cafe but a shopping centre is within walking distance (for those that like to walk).